Susanne Kaufmann believes in the power of nature, which is why she only uses plant-based and other botanical ingredients in her skincare. 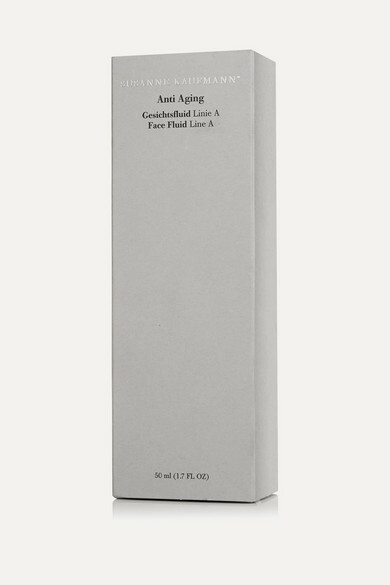 Part of the anti-aging 'Line A' collection, this 'Face Fluid' treatment is enriched with fermented White Lupine to firm and strengthen cells and a combination of precious extracts derived from Lady's Smock Seeds, Broccoli Seeds and Argan Oil to improve elasticity. Apply yours with the eye cream from the same range.